In the evening, at 8.30pm, catch the Argentina Tango Salón Festival closing night at La Milonga de los Zucca in San Telmo. Humberto Primo 1462, San Telmo. A la noche, a partir de las 20.30, se lleva a cabo la milonga de cierre del Argentina Tango Salón Festival en La Milonga de los Zucca en San Telmo. Humberto Primo 1462, San Telmo. Sunny weather is perfect for taking a Foto Ruta Tour where you can get to know the city from a different perspective! El clima cálido y soleado es ideal para hacer un tour fotográfico de Buenos Aires con Foto Ruta y aprender a mirar a la ciudad desde otro ángulo. Buenos Aires is a literary city, explore its bookstores or write someone a letter in one of the city’s traditional cafes. Later on, experience the music of Radiohead, Rolling Stones and Oasis in complete darkness at the Centro de Teatro Ciego. Tickets here. Buenos Aires es una ciudad literaria con librerías hermosas para explorar, y cafés tradicionales donde sentarse a escribir cartas. Más tarde, el Teatro Ciego invita a experimentar la música de Radiohead, Rolling Stones y Oasis en total oscuridad. Entradas aquí. If the weather is nice, at 8pm, you can catch an outdoor screening of Vivaldi’s Motezuma at the Plaza del Vaticano, right next to the Colón Theatre. Si el clima acompaña, a las 20hs., se llevará a cabo una proyección de Motezuma, de Vivaldi, en la Plaza del Vaticano, al lado del Teatro Colón. In the evening, from 7pm to 2am, the new night edition of the Buenos Aires Market gourmet food fair will be taking place at the Palermo racetracks! Si el día está soleado, hacer una excursión al Tigre es una salida imperdible. Algunas de las actividades que proponemos incluyen los deportes acuáticos, pasar por el Puerto de Frutos para comprar artesanías, subir a una montaña rusa, o probar suerte en el Casino. Explora por tu cuenta o súmate a un Tour. A partir de las 7 de la tarde y hasta la madrugada del sábado, se lleva a cabo la nueva edición nocturna de la feria de alimentos gourmet Buenos Aires Market, en el hipódromo de Palermo. On Saturday from 7pm to 2am, the new night edition of the Buenos Aires Market gourmet food fair will be taking place at the Palermo racetracks! On Sunday, if you want to keep dancing, head to the Picnic Electronic Music event that starts at 5pm in Punta Carrasco. El domingo, quien quiera seguir bailando puede hacerlo a partir de las 17hs. en el Picnic Electronic Music que se lleva a cabo en Punta Carrasco. 1- Costanera Sur Ecologic Reserve (and a chori): One of the most spectacular views of the city can be found at the ecologic reserve behind Puerto Madero, plus, on the outside, it is surrounded by choripan carts where you can get scrumptious chorizo filled sandwiches for a fair price. 2- Buenos Aires Local Tours: Take a free tour of Buenos Aires with Jonathan, an Englishman in love with the city. Tours start every day at 11am at the centre of Plaza Italia by the Garibaldi Horse monument and cover the areas of Almagro, Congress and the Plaza de Mayo using local transport to get around. More information here. 3- The Recoleta Cemetery: Surrounded by some of the city’s most beautiful parks, this is a classic city landmark that is free for roaming and discovering, plus, nearby are the Centro Cultural Recoleta, the MNBA (national museum of fine arts), and the Palais de Glace which all host free exhibits regularly. 4-Palermo 3 de Febrero Parks: The Botanical Gardens, the Palermo Rosedal and the rest of the surrounding green areas are all beautiful city landmarks with sculptures, monuments, (a significant cat population) and even paddle-boats to enjoy on a sunny afternoon. 5- La Bomba del Tiempo: This unique percussion orchestra event has become one of Monday’s highlights in the city and is a great alternative for dancing and experiencing a one-of-a-kind environment. The ticket is 50 pesos (same as for a cinema ticket) if bought in advance here, or 60 pesos at the door. And on a Sunday, stopping by the Feria de Mataderos is a great way of getting a dose of the typical local gaucho customs for next to nothing if you don’t get too tempted by the leather goods and crafts on sale! A new addition to the Palermo scene, this daytime café meshes together everything summer. It is first of all a swimwear store, and also sells flip-flops, bags, other accessories, plants and flowers. It’s the perfect place to shop for that two-piece you need for lounging by the hotel rooftop pool and to stop for some great pastries or a light lunch in the shady outdoor patio. The cuisine, which they advertise as homemade and fresh, caters to the Palermo palate and includes salads, sandwiches and many a sweet treat for the afternoon. Armenia 1764, Palermo.4833 0950. 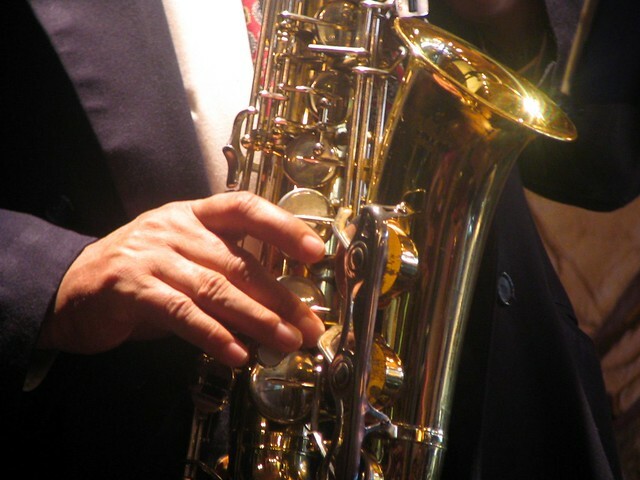 The Buenos Aires Jazz Festival will be taking place until the 26th of November, promising for a music filled long weekend. The event, which will feature both local and international acts, will also include special classes by international artists, film screenings and a photography exhibit. – The international acts section will take place at the Usina del Arte in La Boca and in the Teatro Regio downtown. It will feature live acts by the Alain Jean-Marié Trio/ Cajanegra, Agustín Moya Quinteto / Alain Jean-Marie Solopiano, Dúo Ralph Towner – Javier Girotto / Kirk Lightsey Solopiano, Marc Ducret Trío / Ramon Fossati Glowing Trío, John Hollenbeck Quintet / Kirk Lightsey Trío, and Banda Mantiqueira. – The outdoor shows section will feature free shows on the outdoor terrace of the Centro Cultural Recoleta and the Anfiteatro Parque Centenario. – The jazzology section will also take place at the Centro Cultural Recoleta and features a jazz program directed by Carlos Inzillo who has brought different artists together to promote the local jazz scene. – There will also be an unplugged section that will feature free concerts at the Centro Cultural Recoelta’s El Aleph auditorium. – Every evening staring at 11.30pm there will be a jam session at La Trastienda with renowned local jazz musician Gillespi. – The special projects section will also take place in La Trastienda and will feature free concerts presenting new records and concepts by different artists. – Finally, Cruces is the section destined to bringing local and international artists together on the same stage. Upcoming concerts taking place at Cafe Vinilo and Notorious include: Danny Grissett & Jeanfrançois Prins + Juan Manuel Bayón & Luciano Ruggieri, Ugonna Okegwo, Adam Cruz & Mark Aanderud + Alejandro Demogli & Mariano Loiácono, Louis Winsberg + Ezequiel Dutil, Hernán Mandelman & Sophie Lüssi, Gilles Naturel & Philippe Soirat + Tomás Fraga & Manuel Fraga, David Gilmore & Agustín Moya + Mariano Sivori & Tomas Babjaczuk, Alfio Origlio, Jérôme Regard & Raimundo Santander + Hernán Hecht, Eric Echampard, Bruno Chevillion & Joel Holmes + Luis Nacht, and Judy Niemack & Paula Shocron Trío. The Centro Cultural Recoleta will also feature free film screenings and a photography exhibit. Additionally, there will be special workshops and classes offered by some of the international artists who have been invited to the event. The full festival program is available here. Tickets for special workshops, international concerts and Cruces concerts are available for purchase here. Picnics are one of the many perks of nice weather, and are both enjoyable and cheap options to savour delicious nourishment in the outdoors. Now that spring is upon us, it is the perfect time to find a shady Ombú or a sunny patch of grass to sit under and dig in. 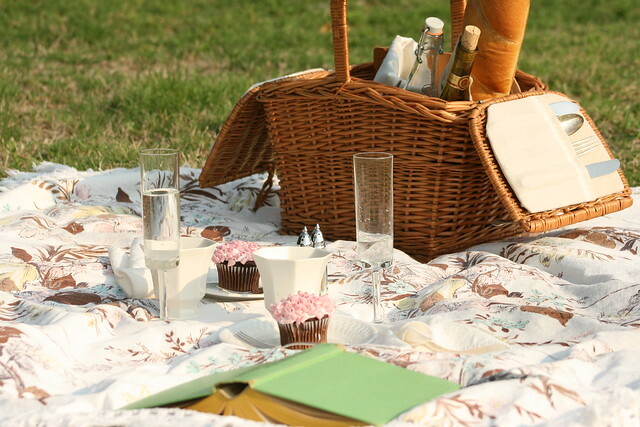 Below are our favorite BA picnic spots. In Palermo- Tres de Febrero Parks. These emblematic Buenos Aires parks are perfect for picnics due to their ample space and shady trees. Our favorite is the Rosedal where you can sit down and watch the pedal boats whilst blooming roses surround you. Where to buy your sandwich: Voltaire Coffee and Deli– Angel Justiniano Carranza 1946, Palermo. In Recoleta- Plaza de las Naciones Unidas. 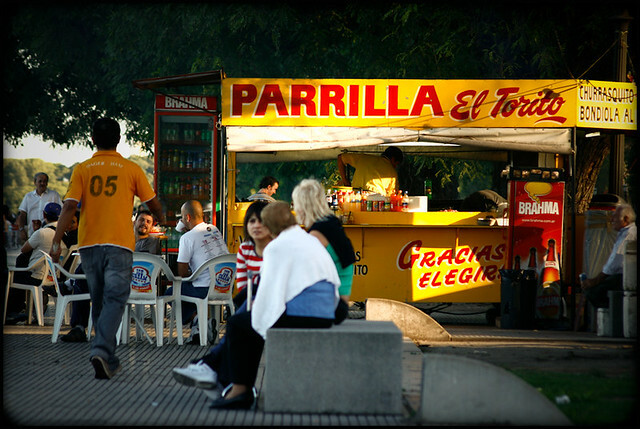 The Recoleta area is also surrounded by lush parks and is a great spot for enjoying a meal outdoors. Plaza de las Naciones Unidas is a landmark in itself due to the stunning Floralis Genérica sculpture. It is surrounded by the city art museums, and close to the famous Recoleta cemetery. Where to buy your sandwich: Tea Connection. Montevideo 1655, Recoleta. In Puerto Madero- Reserva Ecológica. The ecological reserve behind Puerto Madero has one of the best city views and is a gorgeous spot for a picnic. Where to buy your sandwich: For the healthy Sanno Natural Temptations (Mariquita Sanchez de Thompson 367, Local 7, Puerto Madero), for the adventurous, purchase your typical choripan or bondiola sandwich at the parri-carts outside of the reserve. In San Telmo- Parque Lezama. This beautiful park in San Telmo has a gazebo, a sculpture garden, florid jacarandas, history and a lot of green. Additionally, it is surrounded by the traditional Bar Britanico and the Russian Orthodox Church. Where to buy your sandwich: Delivery Gourmet. Juan de Garay 319, San Telmo. In the outskirts of the city- Martinez– The riverbed of the Rio de la Plata at the Martinez and Acasuso locations is lined with open green spaces that are perfect for a picnic. Plus, the Tren de la Costa borders it and is one of the ways of getting to Tigre. Where to buy your sandwich: Deli Club. Emilio Lamarca 391, Martinez.